Make sure every child in foster care has proper luggage! Help Hunter distribute the best backpacks and bags by supporting his goal! 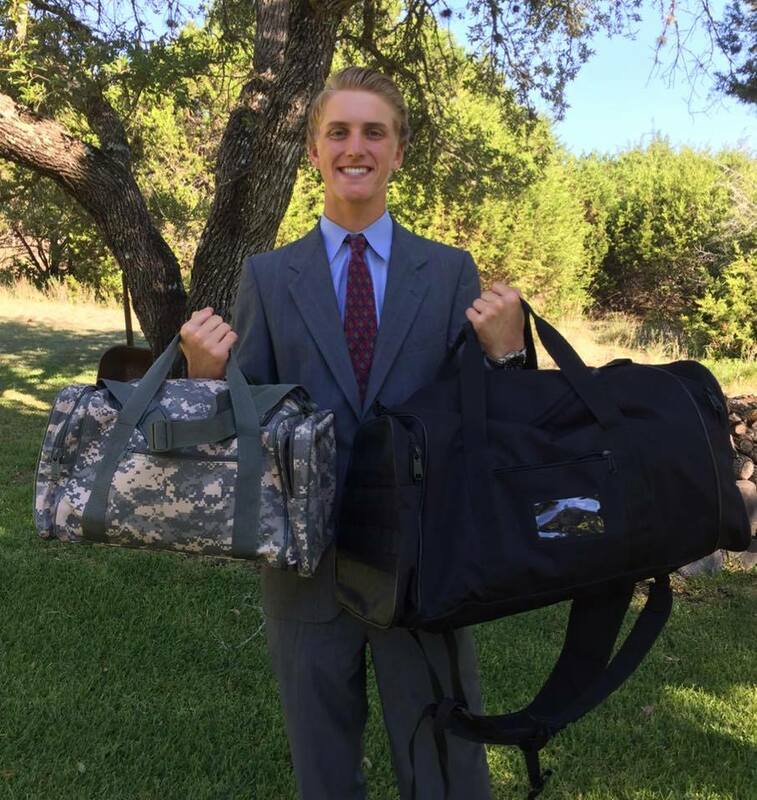 Day 1 Bags started when Texas teen, Hunter Beaton, was challenged by the Eagle Scouts to come up with a way to solve a social problem. Hunter knew immediately that he wanted to help foster kids. Both of his siblings had come into his home from foster care carrying all their items in large black trash bags. He decided to change that. In no time Hunter raised over $10,000 for his first project and was able to donate bags to the child welfare agencies in Texas. Now, with the help of One Simple Wish and Flying Circle Gear, he is taking his idea nationwide! For every $15 donated, you will be giving a brand new, durable duffle bag or backpack to a foster child entering or transitioning through the foster care system. These are large, high-quality bags that include a lifetime guarantee and will be replaced if ever damaged - no questions asked! This is a bag you would be proud to own. In addition, each bag includes information about how kids can use One Simple Wish's wish granting program anytime, reminding them that they are never alone and always part of our family. Why do you distribute EMPTY bags? Shouldn't we fill them? Through his initial project and in doing research since then, Hunter found that most of the agencies were taking everything out of the bags to customize for the child’s gender, age, preference so they ended up as empty bags anyway. The bags also have multiple purposes. They could be used for a move from one home to another, when a child first enters care or when they age out. At various times in their journey, young people need room to pack a variety of different items. In addition, the bags are great for daily use at school or for sports and other activities.